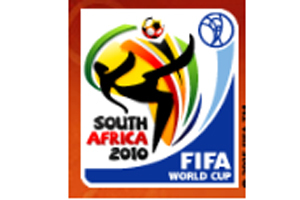 South Africa has sold more than 2.2 million 2010 Fifa World Cup tickets, with Britain being the third largest purchaser after the host country and the USA. More than half of the match tickets have been bought by South Africans, according to South African Tourism. South African Tourism chief marketing officer Roshene Singh said the authority is "very confident" of hitting its annual arrivals target of ten million. Singh said World Cup arrival figures were "always an estimate", following reports today that the event would attract an estimated 200,000 visitors to South Africa in June and July this year. "We have always said that the expected volume of World Cup visitors was an estimated number," she said. "The number we have worked with was given as an estimate four years ago, and it has been adjusted since it was initially released. It is impossibly difficult to predict how many visitors to expect." The news comes after South African Tourism hosted 123 international buyers at Meetings Africa 2010 last month. The exhibition featured more than 2,000 pre-scheduled meetings, and attracted 272 exhibitors and almost 2,000 local and international visitors. Meanwhile, major works at the ten stadia, located in nine cities across the country, are now complete, with the final touches to pitch and landscaping being completed in the coming days.